When you’re looking for a computer desk, there are a lot of things to consider. You likely already have a list of things you want or need it to have. The problem is that you are usually unable to find all of the things on your list in one desk. What’s even worse is when you do find all the things on your list, but the desk has a large price tag. 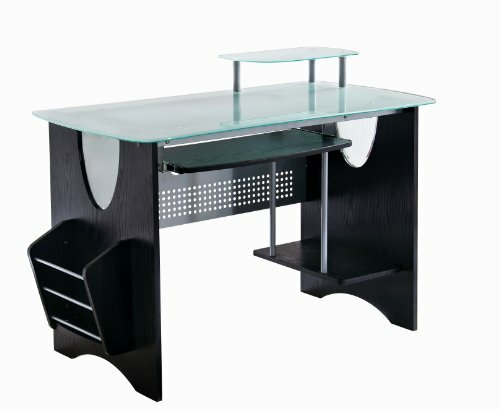 This Techni Mobili desk has a lot of different features that will impress you, and is great for many different sizes of rooms or spaces. 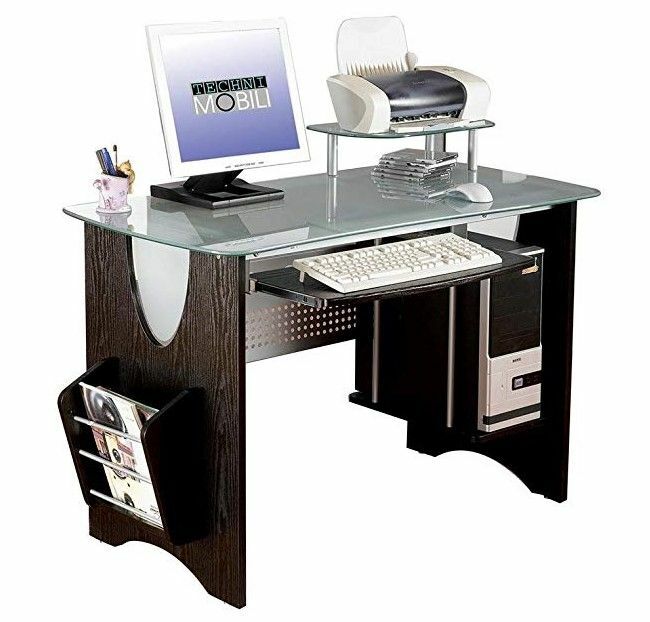 Tempered glass top: Unlike other products that have wooden or faux wooden tops, this one has a durable layer of tempered glass as its desktop. This not only allows the desk to look more attractive, but it also makes it more durable. You don’t really have to be concerned about the top getting scratched up or harmed. Magazine rack: Even though it sounds a bit unconventional, this one has a magazine rack on this side of it. You can also place other important things there if you want to, like paperwork or documents that you need to go through. This can help you keep important papers near you, without them cluttering up your workspace. Cool design: This desk has a modern design that is modular and sleek. It has sides that are wooden in appearance, as well as metal parts that make up the frame. Pair this with the glass top and you have yourself desk that doesn’t seem like it will go out of style. Doesn’t take up a lot of space: Even if you only have a little bit of space in a room for a computer desk, this compact computer desk will accommodate. It is a space saver and it can even fit in small dorm rooms. 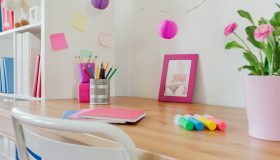 This makes it not only perfect for an adult, but it would also be a great addition to any adolescent or teenager’s room, since it has room for them to use the computer and do their homework. 5 year warranty: Something you don’t see every day is a long warranty. This desk is protected by a 5 year warranty, which is a long time to keep a desk, much less to be able to use the same desk. This tells you that Techni Mobili stands behind their products and their craftsmanship. Pull out keyboard tray: This cool table also has a pull out keyboard tray, which keeps your keyboard safe from spills, and it won’t get in your way when you don’t need to be using it. Keyboard trays are great for making sure you’re typing in the right position and keeping you from getting wrist strain or other types of serious ailments in your hands and wrists. Printer and tower shelves: There are also spots for other essentials. On top of the desk there is a shelf off to the side that is for your printer. This keeps you from having to have your printer on a different table or simply not having a place for it. 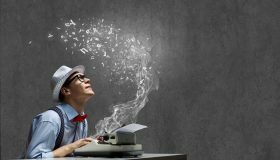 It will also make sure that you can keep an eye on it, so you’ll know when it’s printing properly and when it runs out of ink, so you can address those things. There is even a shelf for your computer tower, because they’re not supposed to be placed on the floor. 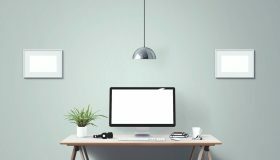 You can simply place your tower on the shelf underneath the desk, which will help you keep all the cords out of the way and there is easy access to the power buttons, disk drives, and the USB ports. Made of moisture resistant materials: Another great thing about this item is that it is made of moisture resistant materials. This means it’s unlikely to warp or swell up, like some other models do. This also means it’s easier to keep clean and care for. 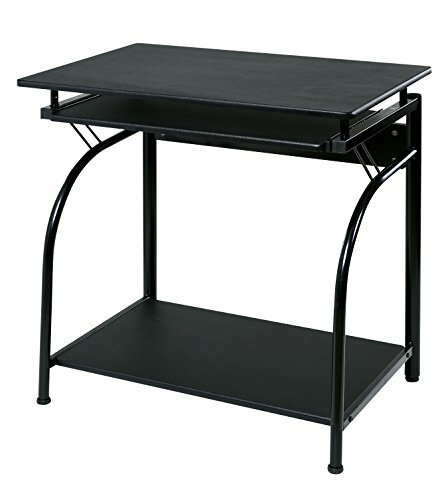 This is a great buy if you need a desk that isn’t basic and will also last you a long time. 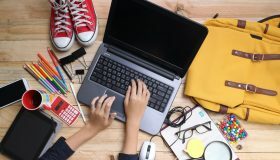 When you consider that it has a lengthy warranty and has room for all the things that you need, there’s no reason not to put it in your list of desks to consider. 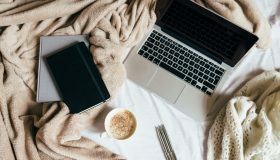 People love that it’s easy to keep clean and has a lot of room for all the things you need when you’re using the computer, like the printer, keyboard, monitors, and even some personal items. Additionally, some larger towers or custom built towers were not really suited to the tower shelf. Of course, you can always place your tower somewhere else or measure your computer before you purchase this desk. These are really minor things when you think about the fun glass table you’re getting when you buy this product.It is sturdy, has all the basic functions and some extras too, and it really looks great in all different types of rooms. 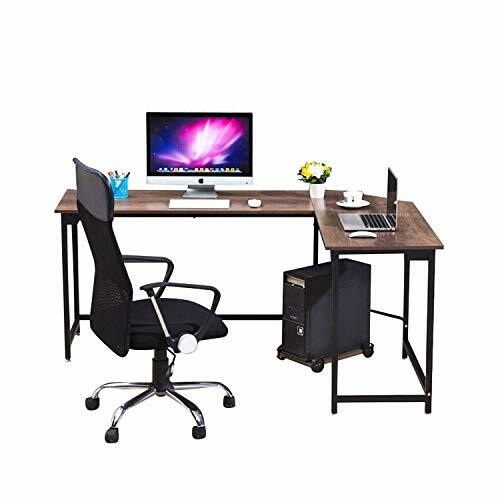 Even if you live in a small apartment or need a second desk for your home office, this one should be able to meet your needs. It can be utilized by people of all shapes and heights with ease, and it has a warranty to keep you protected. These are reasons enough to get one for your home, and enjoy it for years to come. Its great design won’t clash and it hold all your important things.